There have been very few games that have dared to tell a real-life story. It’s a bold move and one that can become a very tricky proposition, especially when the story they’re trying to convey is one of political turmoil, sudden violence, and personal betrayal. 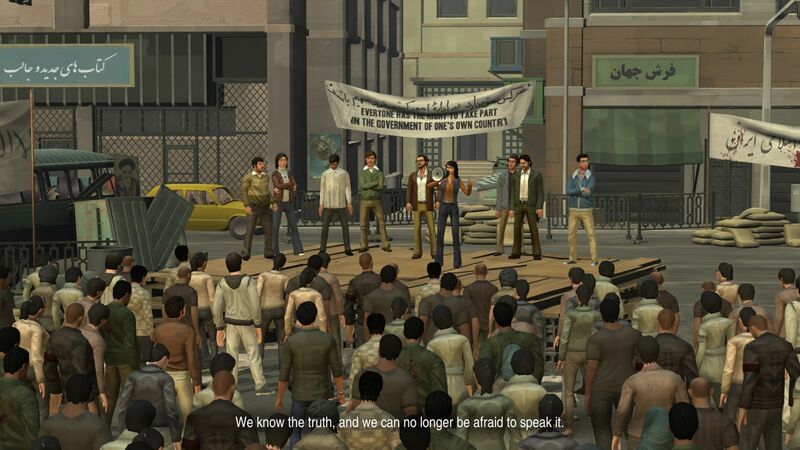 1979 Revolution: Black Friday attempts such a feat and was hugely successful when released on PC in 2016, winning a bunch of awards and getting solid reviews. Now the game has been ported over to console, it has once again become a curious affair, mainly because of the subject matter. But does it all work? Has the solo developer got the tone right? And most importantly, is it actually a game? 1979 Revolution: Black Friday has been written, directed and created by Navid Khonsari, a game development veteran who has worked on a lengthy list of best-sellers: GTA: Vice City, Alan Wake and Resident Evil 7. 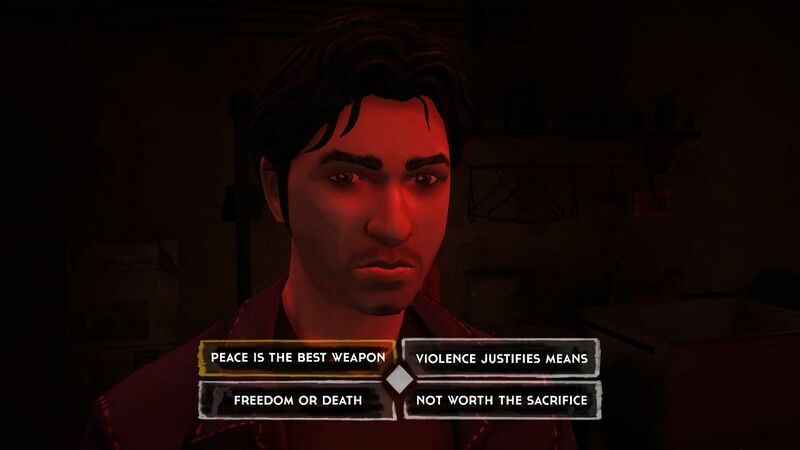 Key to the development of the game is that Khonsari grew up in Iran, but left with his family after the revolution. Regarded by Iranian officials as pro-American, propaganda sales of the game have been banned in the country and Khonsari has been accused of being a U.S. spy. Based on historical events, 1979 Revolution: Black Friday is set in Tehran, Iran in 1978 just as the world-changing revolution by the people against the ruling king, the Shah, takes hold. It’s an interactive drama about choice and consequence, chaos and order. 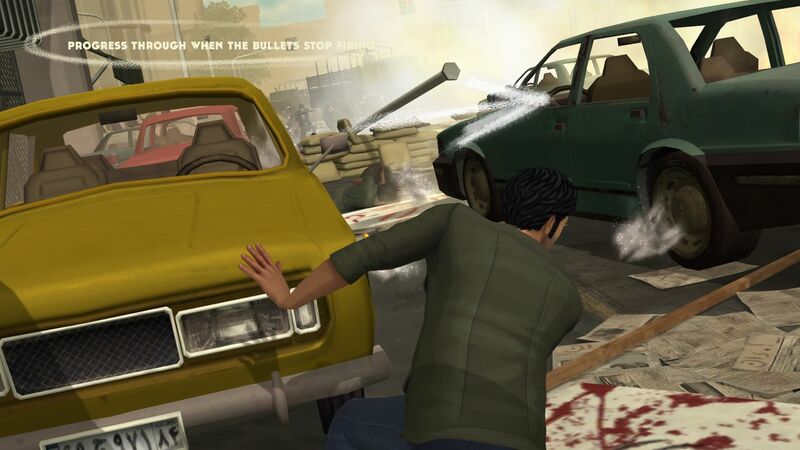 You play as Reza Shirazi, a young photojournalist who returns home to find people protesting and demonstrating on the streets. Your camera is key, as stories and events unfold around you, dropping you into the heart of the warring factions fighting for power. The game’s story, and the journey of the main character, is where the heart and soul of the action lies. You experience the highs and lows of the revolution taking place around you, witness to how the different political groups are all fighting for power and dominance in the fast-changing political landscape of Tehran. As you play through and discover locations or groups of people, you unlock stories and more information about the actual events. Game images and real-life photographs merge as you find out some amazing facts about everything from the political turmoil to the biggest pop star in Iran at that time. It’s like a journey through an interactive museum and I mean that with the greatest respect and feeling because this is what I have particularly loved about the game. A moment that really stood out came about halfway through the experience, as I was exploring the family home and discovering a collection of home movies from the family archive before the revolution. These films were an amazing document of that time, showing Iran as so different to what we see today. They delivered a touching personal section set in contrast to the huge events in the larger game. It is that overall experience that ends abruptly though, and Black Friday is begging to be continued. Gameplay wise and it’s very much in the line of any Telltale game you might have played in the past. There are dialogue trees that will change the course of the narrative and there are important choices to be made. We have a camera mode as well, letting you take important snaps of the world events going on all around you. If anything, that brings a slight ‘game’ element to it. There are also a number of QTE sections where you have to press buttons or waggle the stick from the prompts on-screen – you know, the usual stuff we’ve come to know and love over the years. All these sections work well enough, but none are ever mind-blowing and at times feel rather ordinary. Visually though 1979 Revolution: Black Friday manages to capture the essence of the city, people and time period well. There is nothing here that looks really superb, but it all comes across fine and clean with some nice attention to detail The soundtrack is good too – as are all the effects – but it is in the voice acting where it does a really good job, allowing you to feel your way through everyone’s personal journey. To sum up, the gameplay and visuals of 1979 Revolution: Black Friday are not bad, but at the same time they are not as fantastic and inventive as I had hoped. The story, writing and characters though are great with some brilliant hidden facts, photos and films. The voice work is excellent and it really does allow this great idea to shine, all as it tackles a massive piece of history through the medium of gaming. I do really want to see this story continued though – if only to find out exactly what happens to the characters that we get the chance to invest so deeply in.